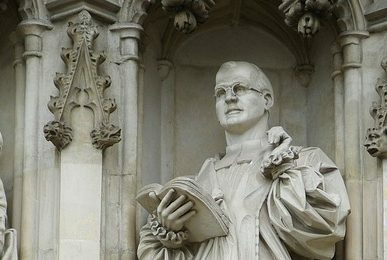 Community and friendship were at the heart of Bonhoeffer’s life, overarching not only his theology, but also his conspirative work in the Nazi resistance and even more so towards the end of his life, when as a prisoner he developed it as a guideline for what he called Religionless Christianity. For this year’s Bonhoeffer Day, we will explore the theme of ‘friendship and life together’ through talks, music and discussion. As in previous years we will have music and plenty of time for informal discussion and fellowship over coffee, cake and food.